Synchronized swimming, the technical name for dancing to Enigma in water, is an Olympic sport. So is race walking, where the athletes have to keep at least one feet planted on the ground all the time, which results in a hip movement that was perfected by Shakira in 2005 AD. Then there is the modern pentathlon, which basically tests an athletes' ability to flee after killing someone. But, these are not the strangest sports we have seen in Olympics' vast history. These perhaps won't even feature in the top-20 list. The objective of this event was to swim below the surface of the water for up to 60 meters. The competitors were awarded 2 points for each meter covered, and 1 point for every second they were submerged. Of course, drowning did not count. And yes, it also featured only once in the Olympics—1900 Paris. France's Charles De Vandeville won the gold after swimming 60 meters in a time of 1 minute and 8.4 seconds. Interestingly, though, the man who came third, Peter Lykkeberg, actually swam for 30 seconds longer than the winner, but in circles. It was scrapped from the Games primarily because the spectators did not really have anything to spectate. If you thought the French were weird, you were not too far off the mark, but, in 1904, America managed to outdo France. 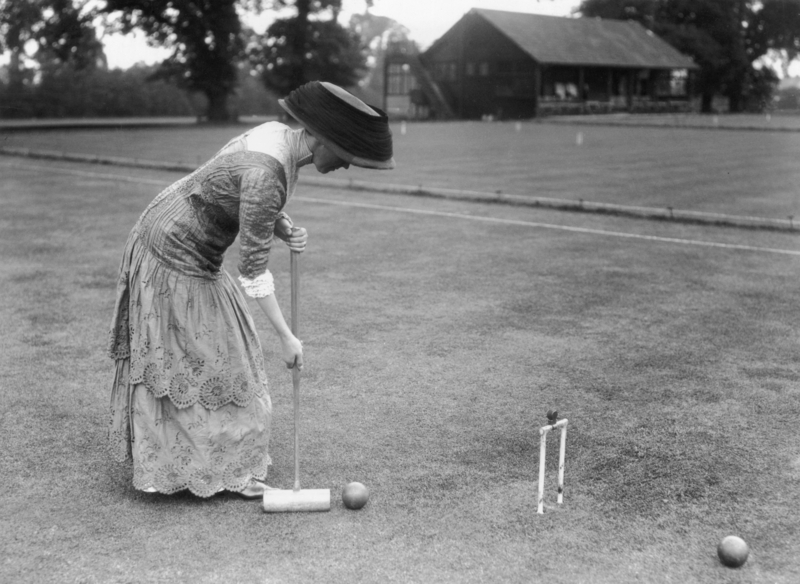 After croquet was removed, USA introduced an American version of the same sport, named Roque, into the Games. It was also the only Olympics where swimming distances were measured in yards, not meters. 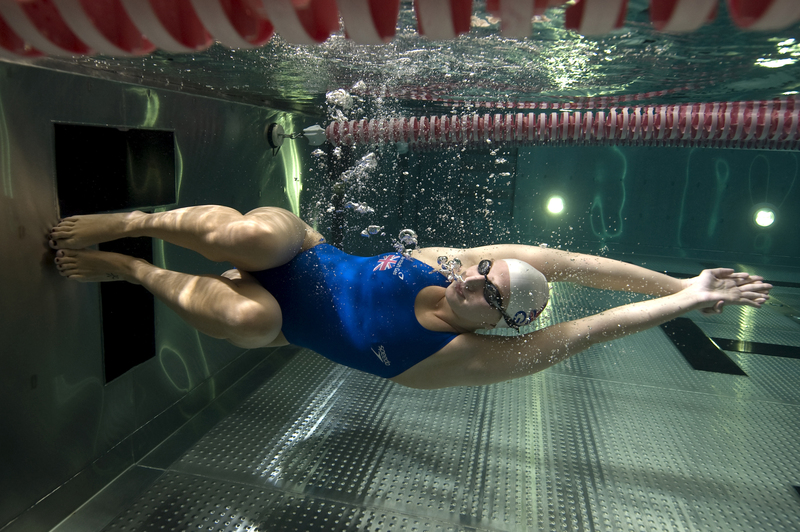 It witnessed a brawl between the American and the Hungarian team in the swimming 50-yard race. 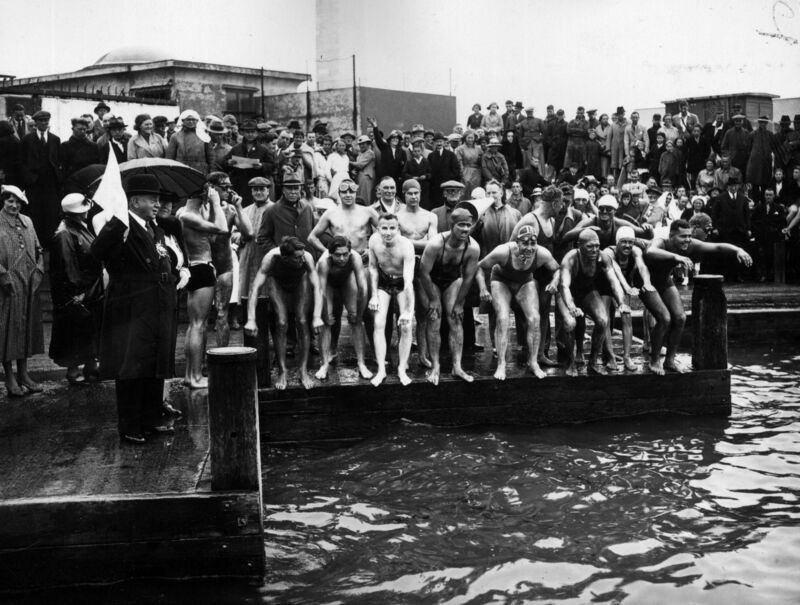 Another brawl ensued between the German and the American teams in an event named 'fancy diving'. The Germans claimed they were 'fancier', while the Americans claimed they had the better entries, and the Germans could not care less about that. In that memorable Olympics, they also took the underwater swimming from the 1900 Games and turned it into something dafter—plunge for distance. The swimmers had to dive into the pool and stay motionless in the water for one minute. The divers weren't allowed to propel themselves while in the water. Whoever went the furthest through the water, without breaking the surface, won the event. USA's William Dickey remains the defending champion in this event, 112 years after winning it, and 72 years after reaching the grave, since it was never held again. Yes, these two events took place in the 1900 Olympics as well. The horses were finally given a chance to show their ability to leap and jump, although they were made to do so while carrying a human on their back. Constant van Langendonck won the long jump event while riding on his horse which was curiously named “Extra Dry”. 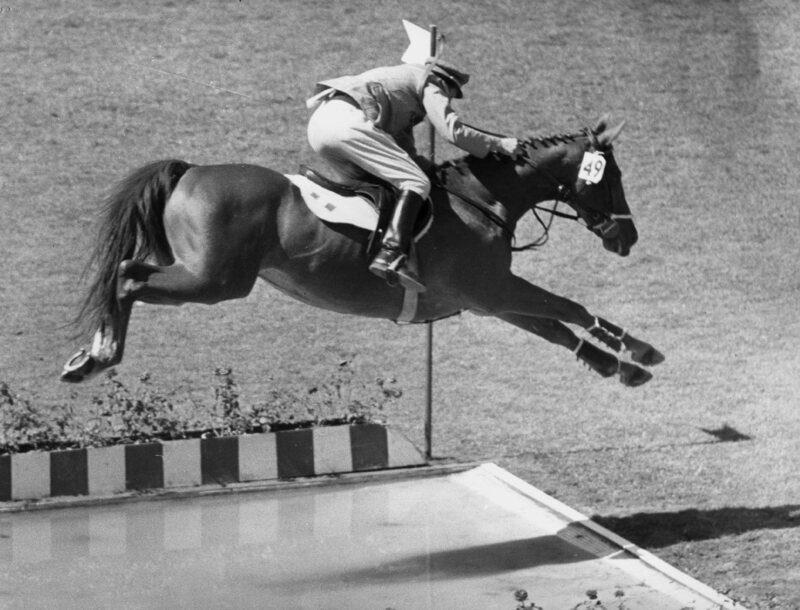 The horse leapt a distance of 6.10m, while Mike Powell covered 8.95 meters in 1991. In Extra Dry's defence, Powell was not carrying a horse on his back. Dominique Gardères of France won the high jump event on his horse Canela with a jump of 1.85m, that too without attempting the scissors. 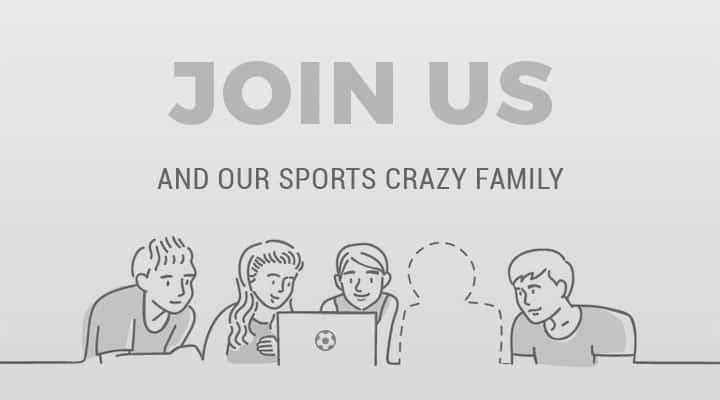 This was straight out of the curriculum of physical education classes when physical education classes were actually physical, and gruelling at the least. 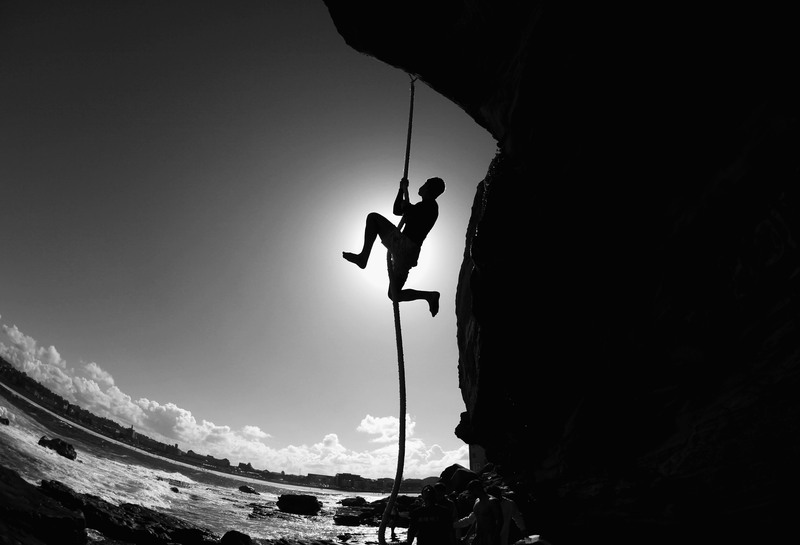 The climbers had to ascend up a 14-meter-long rope, and they were judged based on time and style, although later the style quotient was taken off - inexplicably. Rope climbing featured in the Olympics from 1896 to 1932, and the most memorable moment during its stint in the Games arrived in 1904. George Eyser won a gold in this event in 1904, and he did so with a wooden leg. A train ran over Eyser's left leg, which led to the amputation of his left leg and was replaced with a stump. However, Eyser used this handicap to reach higher, literally. This is fencing with a walking stick, and a form of French martial art used by upper-class gentlemen in unsafe cities like Paris, that is if they run out of souffles to throw at the assailant. This appeared, for the only time, in the 1924 Olympics in Paris. The pre-evolved version of rhythmic gymnastics, where bowling pins were used in place of ribbons in a far-less elegant drill. In fact, it looked more like the exercises oil-clad wrestlers perform in Indian akharas. Don't believe us? watch this video below. It featured in the Games from 1904 to 1932. USA's George Roth, who was fighting the Great Depression and hunger in his daily life, was the first gold medal winner. 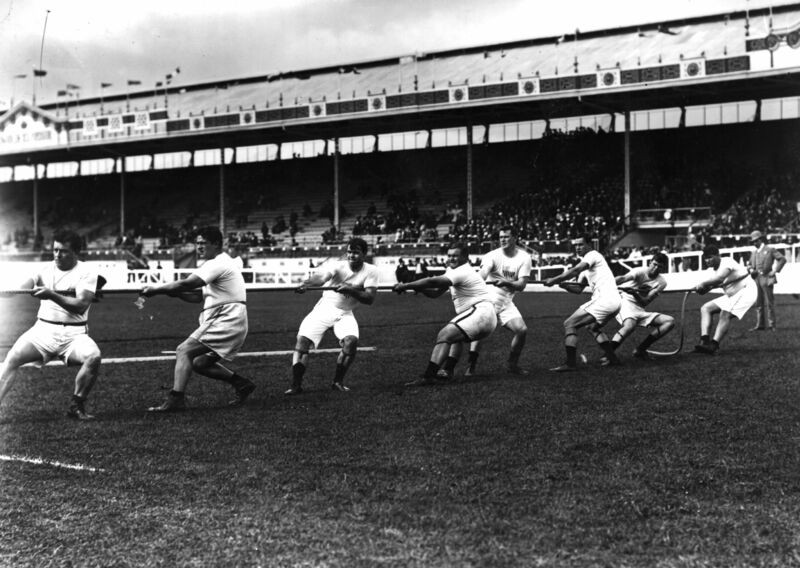 This game showed great progression, from being a grade school game to being an Olympic sport in 1900. The objective was simple–to pull your opponents six feet over the line, and then preferably into the ground, before stamping their face with your boots and stealing their belongings. This should have been the official sport of this Olympics, Rio, you City of God! Life was simpler back then. 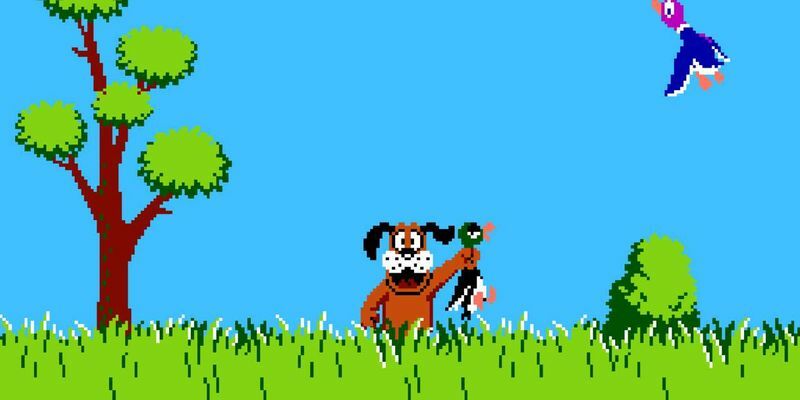 It happened during a time when PETA did not exist, and long before Nintendo's famous Duck Hunt game came into existence. 300 birds were killed during the event in 1900, with Belgium's Leon de Lunden winning gold with 21 dead pigeons. One wonders if the winner was allowed to take them home.